Automatically answer your phone when operating remotely. The must-have addition to your Plantronics wireless headset system. Answer your phone when you're away from your desk. Plantronics CS510, CS520, CS530, CS540, CS710, CS720, CS740 & CS745 headset systems. Completes your cordless headset system. Enjoy the full mobility of cordless conversations. Roam around your workspace, knowing that you'll be notified when a call is received-and you can answer and hang up whenever you choose. 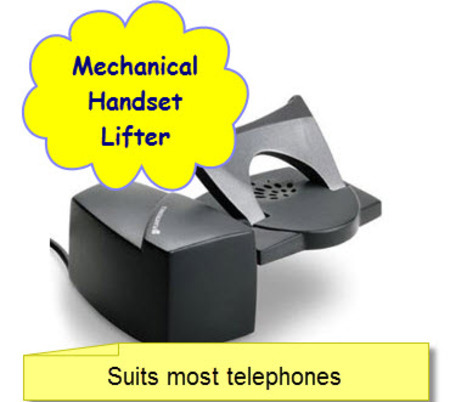 Lifts handset and returns it to the cradle at the touch of a button. On most desktop phones, the HL10-Savi lifts up and replaces the handset so you don't have to be at your desk to answer the phone or to hang up.